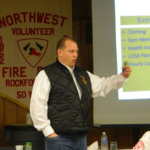 Technology has certainly made some positive impacts on the fire service over the past ten years. We can now purchase thermal imaging cameras that are about the size of a can of soda, our PPE weighs less and protects against higher temperatures than ever before, and SCBA’s can provide incident commanders with real time data of where their personnel are on the fireground. The fire service in general has long boasted the bond of “brotherhood” as being perhaps the greatest intrinsic reward of the profession. 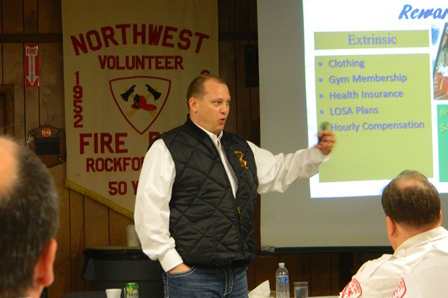 This bond ranks high on Maslow’s hierarchy of needs and because extrinsic rewards are most often absent, some would credit the “brotherhood” as being the glue of the volunteer fire service. The “brotherhood” is special in its own sense. 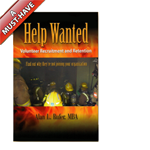 It doesn’t require an application nor does it care if you’re from a volunteer, combination, or career fire department. When you join the fire service you also join the “brotherhood”. Members of the “brotherhood” will do anything they can to help one another, got a flat tire and need ride, replacing the roof on your house, family member fallen on hard times? There is very little the “brotherhood” cannot help you overcome. But is the technology that has helped us make such significant gains in our tactics and operations eroding the very bond that keeps us together? The key ingredient to the “brotherhood” is comradery and personal interaction is required for comradery to thrive. However, personal interaction is the very thing technology appears to be destroying. There is now software available that allows the training division to send an email assigning a variety of online modules for a firefighter to complete. The firefighter completes the modules at his/her convenience, perhaps at home or even on their mobile device. When they have completed the training a message is sent to the training division notifying them that the training has been completed, all without any need for human interaction. Why are phones even called phones anymore? I get more text messages in a week than I get phone calls in a month. Training schedules are consistently being reviewed and revised to be more accommodating to personal schedules. These accommodations often result in smaller class sizes that by default then reduce the opportunity for peer to peer interaction. I often hear fire chiefs complain that no one comes around the fire house anymore. My response, “are you giving them a reason to come around?” The “brotherhood” is our bond, but like any bond, it requires some maintenance. So if morale seems to be suffering, you may want to take a step back and look at your organization. The technology sold to you on the notion that it will help retain volunteers may just be the very thing keeping them away.